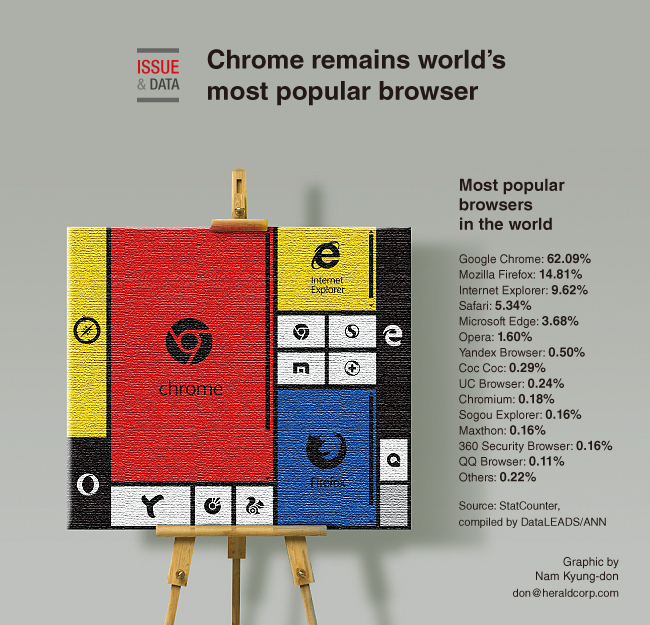 Chrome is the most popular browser in the world, used by 62.09 percent of web surfers. The advent of Chrome had signaled trouble for all other browsers. Today, it easily outperforms the likes of Internet Explorer and Mozilla Firefox. Mozilla Firefox and former market leader Microsoft Windows’ Internet Explorer are distant second and third most popular browsers. Other browsers like Yandex, Coc Coc and UC Browser are also far behind, according to data from StatCounter, a Dublin-based web analytics firm.